What is hospice care? Is it a service, obligation, philosophy of care or all of the above? While we all want to prolong our lives to a certain extent, there comes a point where death becomes inevitable. One route we can take as a family member dealing with the traumatic “end days” of our loved one is to go with hospice care. In order to fully understand the true definition of hospice care, we have to dive deep into the depths of what this service actually does for the patient. Hospice is essentially a philosophy of care, or an idea more than anything. While there are thousands of hospice organizations and buildings that take on the title of “hospices”, today’s hospice care does not mean a specific type of care delivered in a unique facility. 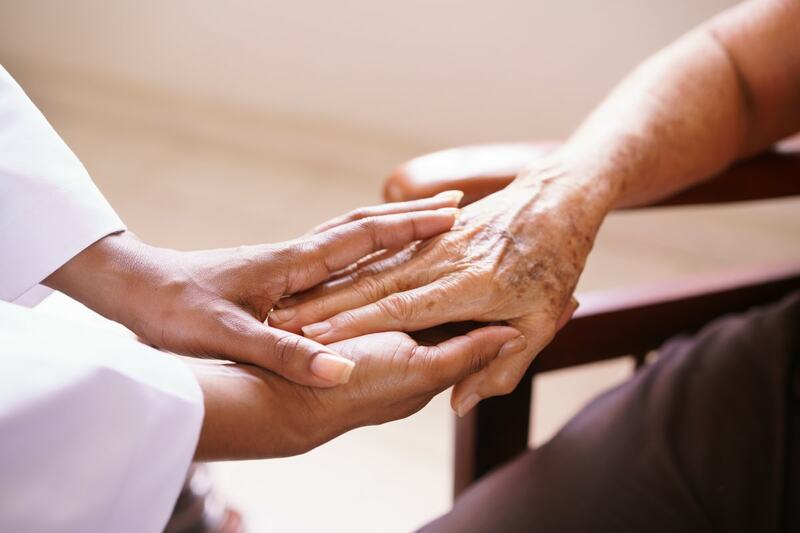 Without giving you the runaround, the concept of hospice care surrounds providing treatment to an individual that has an incurable illness and a grave prognosis. When keeping the illness under control no longer has any effect on the patient’s longevity and overall health, there is still something caregivers can provide – and that’s comfort. While it may sound underwhelming, even if someone’s life cannot be prolonged, comfort can always be provided and is an actual viable service. One promise that hospice strives to always deliver is to bring both comfort and dignity to the patient. After all, how would you feel if you were in the family member’s shoes? They’re grieving. They’re in pain. And, truth be told, they want to be at peace with something that’s extremely difficult to let go. Hospice is not dependent on a particular facility or building. Rather, hospice care is delivered to the patient and the family at a place of their choosing – which in most cases is in their home. I know it’s a grave question to ask but, where would you want to be in your final months? 9 times out of 10, people would say with their loved ones and at home where they feel comfortable and at peace. However, there are certain exceptions to this. For instance, let’s say a caregiver is too frail or weak and requires a specific type of care that cannot be provided at home. The hospice care can be delivered somewhere other than the patient’s home. In this case, the establishment that the patient is transferred to will reside in a room that’s made to be as homelike that it can be. What is hospice care if one can’t spend a significant amount of time with his or her loved one. Now, as a family member, it’s important to remember that wherever hospice care is provided for the patient being cared for, the family will have access to the patient at any time of the day – 24 hours to be exact. Additionally, children are allowed to visit, but be wary of pets, as they are only allowed to be around the patient within reason. Volunteers, when on the job, provide the patient with company and care while the caregivers take time to handle their outside responsibilities and interests. One of the main concerns with independent caregivers today, especially with those that are dealing with a patient suffering from a terminal illness is that they are tempted to put their lives on hold and maintain sole responsibility of caring for the patient, pushing aside any outside obligations. Not to mention, when the patient does succumb to the illness, grief sets in. By balancing and rotating caregivers at will, and balancing both work and patient care, the caregiver(s) involved with servicing the individual will benefit from reducing the amount of stress involved with the entirety of the process. So, to sum it up, what is hospice care? It’s not an obligation. It’s a calling and an empathetic approach to a suffering individual that’s on his or her last legs. It’s providing someone with a companion that’ll be there to aid and assist in whatever the patient requires.